To apply, simply untwist the lid and brush the gloss onto lips. The lip gloss will immediately start making your lips tingle, but as with other lip plumping products, this is totally normal and it means that it is working. First up, Avon’s 3D Plumping Lip Gloss has fantastic longevity. It can last me through a busy day with ease with either no or very minimum touch ups (depending on eating/drinking etc) and as a mother with little time in the day for top ups, that is something that I like. I don’t find the formula to be sticky, and the brush works well with it to distribute the product across the lips evenly and simply. The colour payoff of Pink Pout is very subtle. 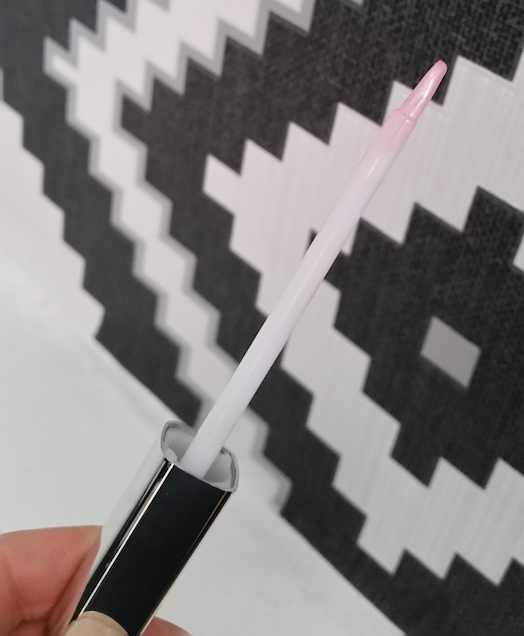 It simply leaves a pearlescent pink shine to the lips without any real vibrance, so it is perfectly casual. It can also work over a lipstick. In regards to the plumping action, I actually find this works better than the lipsticks. The difference isn't huge, but it is noticeable. The only real let down isn't to do with this shade itself, but the collection. I really wish that there were more shades available. There isn't even a red! I understand that they can work over lipstick, but for those who just want a nice gloss on its own, there is a lot to be missed. Overall, I am really impressed with this lip gloss. 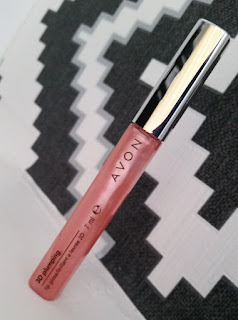 This is by far the best gloss that I have tried by Avon and therefore I am very happy with it. The brush makes for easy, even and precise application and the formula isn’t sticky, but it is long-lasting. The colour selection in the collection is minimal, but I do believe that this was intentional so that they could be paired up with the 3D Plumping Lipsticks, even though I think there should be more to choose from. You will be able to purchase Avon’s 3D Plumping Lip Glosses for an introductory price of £4 (then they will be £7) from Campaign 1 in the UK, and they will be available online too. When they are online, I will update the post with a link. What are your thoughts on the new Avon 3D Plumping Lip Glosses? Have you tried the lipsticks?